Totally disinfected granular chicken manure compost. Contains nitrogen, phosphorus, potassium in organic forms. Percentage of organic matter 70%. Use for all types of soils improvement and plants nutrition. Totally disinfected granular chicken manure compost. Contains nitrogen, phosphorus, potassium in organic forms. Percentage of organic matter 70%. Can be used in broadcast or drop spreaders. Use for all types of soils improvement and plants nutrition. Totally disinfected chicken manure compost drops. 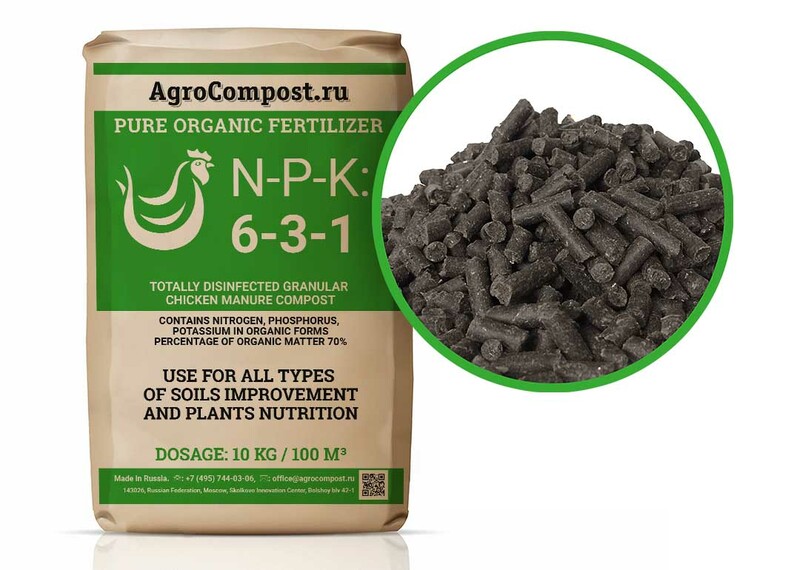 Contains nitrogen,phosphorus,potassium in organic forms. Percentage of organic matter 70%. Can be used in broadcast or drop spreaders. Use for all types soil improvement, for fertilizing vegetables, flowers, trees and soil preparing. Totally disinfected dry chicken manure compost powder. 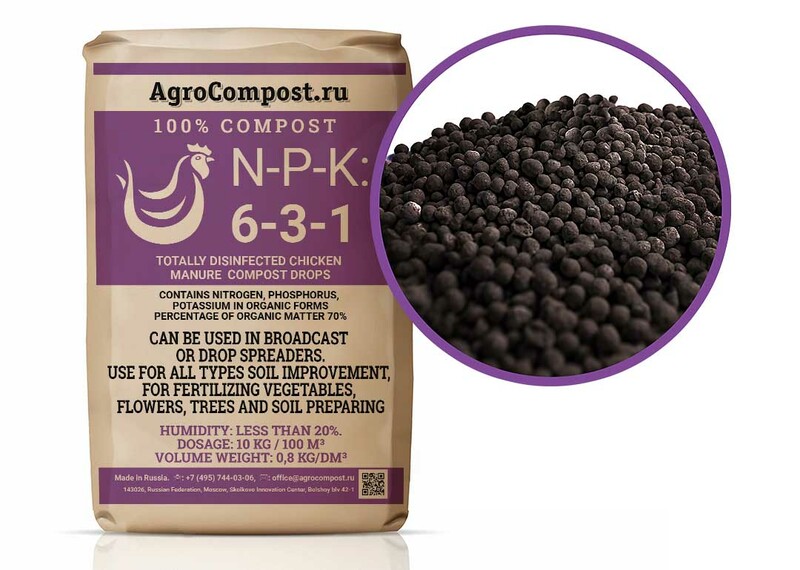 Contains nitrogen, phosphorus, potassium in organic forms. Percentage of organic matter 70%. Natural soil builder. 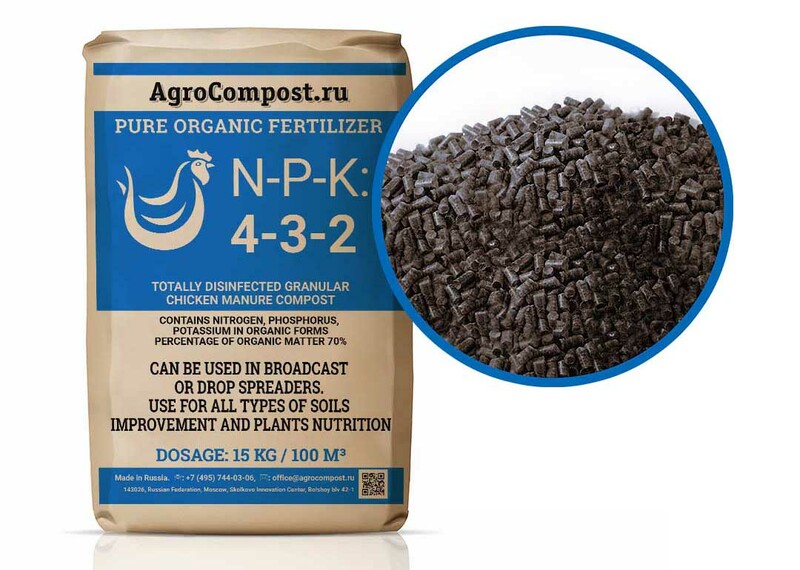 Use for all types soil improvement, for fertilizing vegetables, flowers, trees and soil preparing. 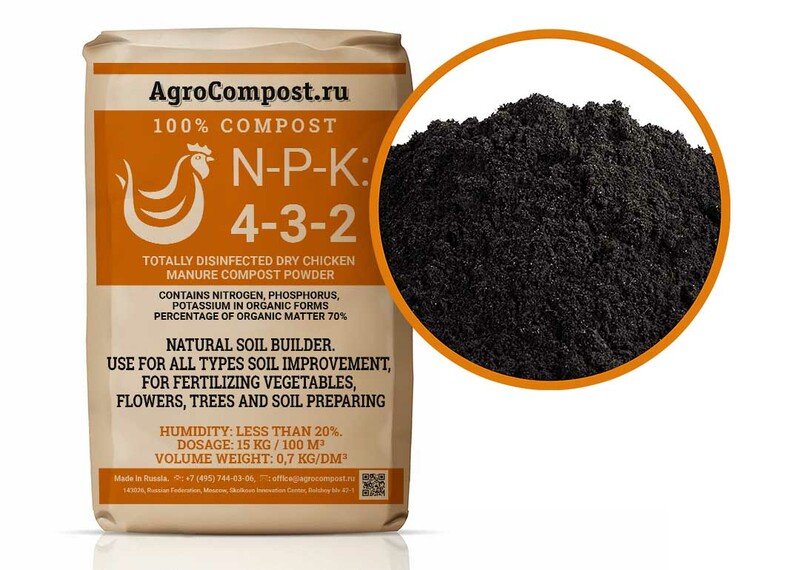 Agrocompost LLC, 143026, Russian Federation, Moscow, Skolkovo Innovation Centre, Bolshoy blv 42-1, office 757.